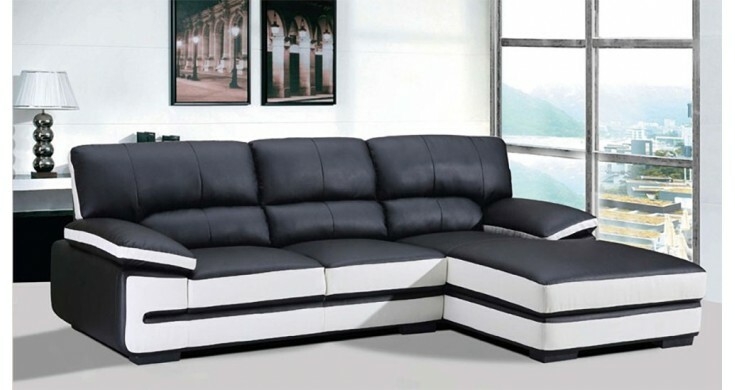 The Maple corner sofa is brilliant for modern designs, it is thick grained bonded leather. We can offer you the Puno in Black & White leather today for an amazing price. However just because it is available at such a great price we have not compromised on the quality of the leather of this superb sofa. In fact all of our sofas are available at up to 70% off the RRP but today the Puno has even more slashed off the price. You simply cannot find this sofa at this great price at any other retailer. The sofa is made out of premium bonded leather and it is so easy to clean so don’t let the white colour put you off. The Puno also splits into two smaller sections so it is easily delivered into your home and erected.